The soil environment that acts as a substrate for the root of a vine plant is very rich in life. It’s easy to think that in its first useful layer, around 30 cm, the microorganisms’ community, as biomass, amounts to 4-5 t/ha in weight. According to a recent study (VeneTerroir Project, Squartini, Paoletti, Concheri) done in 12 vineyards in the Colli Euganei and Berici areas, 56,046 species of fungi and bacteria have been sequenced. 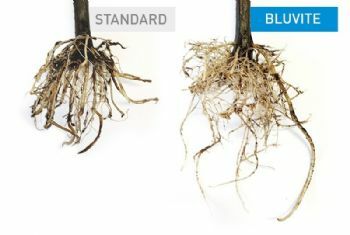 The importance of these micro populations is not negligible; in fact, the bacteria that grow around the root in the rhizosphere, feeding on exudates and mucilages, play an important role in plant nutrition and resistance to biotic and abiotic stress. The health of plant is, in some way, a direct expression of the quality of soil. The conventional agriculture, based on use of synthetic chemical products, involves the destruction of the useful biological network in soil. The vision of the importance of exploiting the indigenous microbial component, as an indispensable value for sustainable growth, represents the objective on which the BluAgri team concentrates its resources. 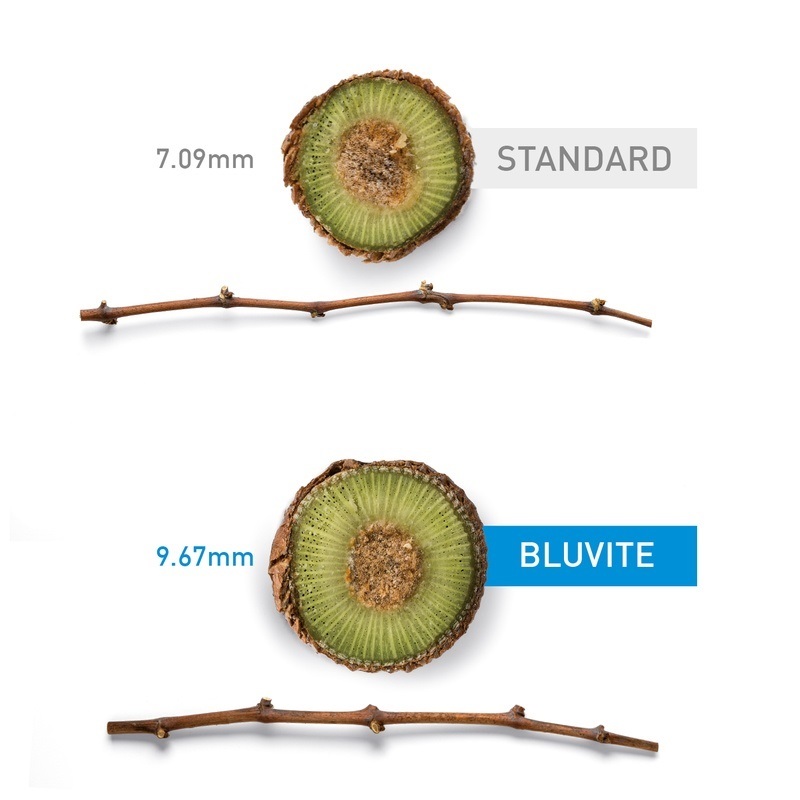 The peptide-amino acid component, at the base of the BluAgri products, mixed with mine sulfur and the kieserite, allows to stimulate the metabolism of the autochthonous microorganisms of the soil and mobilize all the nutrients ready to be assimilated by the plant. This interchange, by increasing the efficiency and speed of the elements inside the plant, promotes the roots growth thanks to the production of specific hormones (auxins, gibberellins and cytokinins) by Rizobacteria. The restoration of the microbiological balance in the soil promotes the renewal and growth of an efficient root system, aimed to increase its explorative capacity and the root hair replacement. This is the reason of a greater development of the root system and therefore of a greater number of interactions between root-bacteria until a continuous supply of water and nutrients. The stimulation of the specific microbiota of the vineyard does not only act at the hypogeal level, but also at the epigeal part. The constant and lasting presence of nutrients that can be assimilated from the soil improves a good growth of apices of buds, with homogeneous and regular internodes and uniformity in the vegetative expression along the whole annual cycle of the vine. The sections of the shoots have a greater vascular density, consisting largely in phloem and tracheids apparatus, more involved to lymphatic translocation than the tracheas apparatus, used instead to the translocation of salts and water. The consequence is a better feeding for the canopy and a better resistance to water stress. Thanks to a better nutrition, the bunch of grapes develops in a homogeneous and complete way, reducing the phenomenon of the millerandage and reaching the best ripening condition suitable for the company’s oenological objectives. This quantitative and qualitative result is reflected in the analytical reports of the grapes - excellent profile of organic acidity, especially malic - and in a better taste of the grapes. BluAgri has succeeded in achieving its primary objective after a long period of research: the reduction in the use of synthetic chemical fertilizers. In the demo farms is possible a reduction of at least 50% of the mineral and foliar fertilizers replaced by organic fertilizers. The increase in volume of secondary roots used for the absorption of nutrients, has allowed to decrease the nutrient inputs as a consequence of the increase in absorption and radical efficiency. In future, the application of BluAgri’s line will allow to reduce the carbon footprint of production; just as an example, for the fertilization of 30 ha of vineyards one ton of BluVite would be used instead of 24 tons of synthetic chemical fertilizer used on average in wineries.